I design typefaces since 1984 (yes, the real special year: Orwell*, MacIntosh**, if you know what I mean). After some analogic design I made for a few small clients in Italy and the work on a huge bitmaps-font family for Siemens AG, my first digital typefaces were published in 1992 by FontShop International. Then I worked for a long time for Linotype GmbH (beside of some typefaces we also designed their corporate identity) and founded my own fontlabel in 2002: BuyMyFonts.com. I love to design typefaces and I do it both commercially well as for the fun of experimenting new things – creating rules or breaking them. There are many typeface family I made and I love them all. 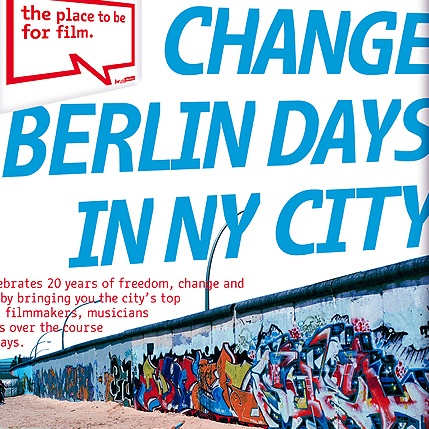 But I am proud in a very special way of the BMF Change, the font family I designed for the City of Berlin. On this page I show some of my recent work – without any special order. These typefaces were created for the beBerlin Campagne. Later they became the official type of the City Berlin, its Fire Brigade, Police and many other institutions. BMF Monodimensionale is a small hand-drawn typeface family that got its name from three important facts: at first, it is monospace (MONO-); then, it simulate a 3D effect (-DIMENSION-; and last but not least, I made it (-ALE). I love to do things that are not really full of meaning: why did I made a monospace font by hand? Becouse it looks fantastic! 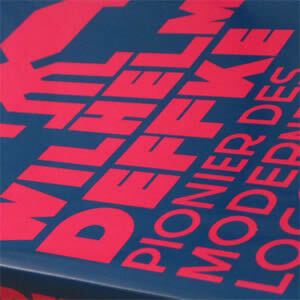 For the beautiful book about Wilhelm Deffke, that I was lucky to design, I realized a whole headline typeface family. BMF Monumentale is based on an original design from the XIXth century that I found in a book. I digitalized it an completed the character set – that was originally very poor. The perspective and the shadows make the letters really monumental: therefore I chose the name. To complete the family I added a version with only the surface of the letters: you can combine them using different colors to make them look even cooler. The BMF Comicale Flip is my own handwriting. I wrote a lot of words and textes, scanned them, made a choice of the letters and put the best of them in a font. With a simple script I found in my archive, I was able to realize a typeface that change randomly between different versions of the same glyphs. This allow to give textes the lively impression of handwritten letters – without to painfully have to write them all by hand.